At previous editions there were 700+ competitors from more than 19 different countries. The competition will be held in a single large sports center in Difesa Sport’s home town Helmond: City Resort Helmond. We hope to see you all on the 25th of January 2020. 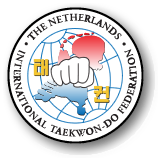 The invite in both English and Dutch, as well as the poster and the Sportdata registration link can be found below.